As men toiled on the front lines, the munitionettes back home made armaments and fought battles all their own. London, 1917. Lizzie Fenwick is young, ambitious, and in love. At least, she thinks she’s in love with the soldier who answered the note she concealed in a box of ammunition shells. She spends her days filling shells with TNT, and her nights dreaming of a romance with the mysterious Harry Slater. Eunice Wilson knows the exact moment her marriage to Jack began to fracture. He refused to enlist, and their patriotic neighbours never let her live it down. Now he’s been conscripted and she can’t help but feel regret for shunning Jack before his departure for France. As separate tragedies cause Lizzie to make hard choices and Eunice to cope with loss, the two women struggle to adjust to the challenges of peace when it finally returns. Little do they know that an earlier war-time betrayal will force Lizzie and Eunice to confront everything they knew about friendship, loyalty and love. 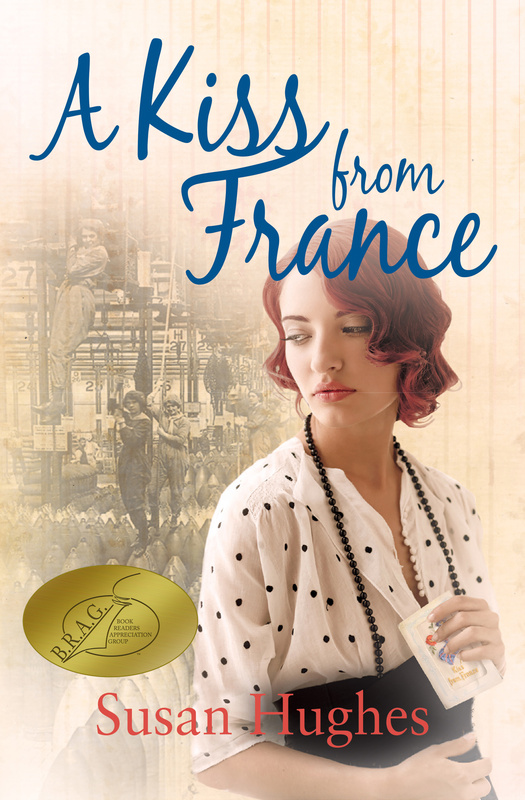 A Kiss from France is a historical fiction saga set in London’s East End during World War 1. If you like compelling human stories, believable female protagonists, and the suspense and intrigues of war-time London then you’ll love this heartfelt story of two women who yearn to feel alive in a broken world. A Kiss from France is available from Amazon, B&N, iBooks, Kobo and from independent bookshops. That silk box is incredibly evocative, especially with the photo. Thanks for saying so. It’s one of several embroidered silk postcards (although it would also make a lovely insert for a box lid) which belonged to my grandmother. They are truly very poignant reminders of the Great War. They definitely fired my imagination.